Magnetic stripes are found in a variety of products. Consisting of tiny magnetic particles in a resin, magnetic stripes are typically black or brown stripes that allow information to be written or encoded to the product. The largest uses for magnetic stripes are banks cards (credit, debit, and ATM cards) and transit tickets. Other products include phone cards, hotel room key cards, frequent shopper cards, airline tickets and boarding passes, etc. Due to the importance of the information encoded to the magnetic stripe, it is essential it is durable and resistant to abrasion. Two common approaches have been used to evaluate abrasion resistance of magnetic stripes. Both tests subject the magnetic stripe to controlled abrasion, and compare the signal amplitude of the magnetic stripe of a specimen before and after it has been abraded. 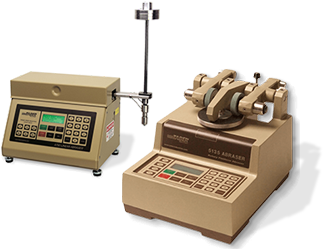 Taber's Magnetic Stripe Abrasion Kit is utilized in conjunction Taber's Reciprocating Abraser 5900 (sold separately). 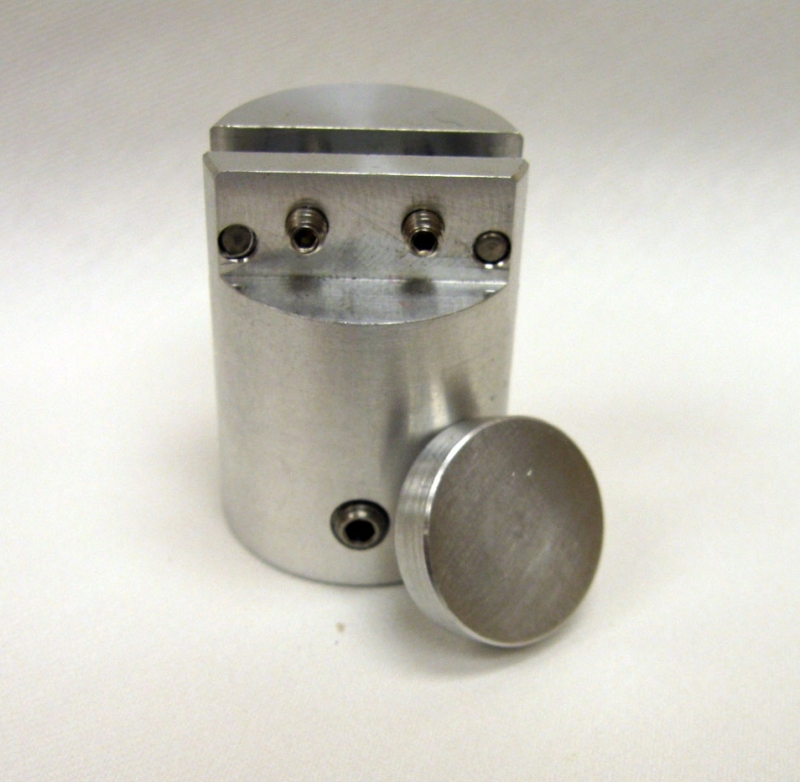 Described in ISO 10373-2, this kit includes a cylindrical aluminum abrading head that is 5mm wide with a radius of 10mm. Card specimens are secured in place to a card holder, or other products are secured to the Reciprocating Abraser specimen table. With the radius edge positioned vertically to the magnetic stripe and a force of 1.5N applied, the head is traversed back and forth over the magnetic stripe at a speed between 200mm/sec and 500mm/sec for 2000 cycles. Signal amplitude is compared after the test with the value recorded before abrasion. Note: This kit may also be used with Taber's Linear Abraser. Additional accessories may be required to achieve the correct load. Contact Taber Industries for additional information. Another option to evaluate the abrasion resistance of magnetic stripes is to utilize the Taber Rotary Abraser. Test method ANSI INCITS 322 describes a procedure that uses CS-10F wheels applied at a 500g load to abrade a 1 1/4 inch 'read area' on the magnetic stripe. The test is repeated until an average signal amplitude of 70% of the initial reading (or less) is achieved or after 5,000 cycles.